The growing demand of customers increases the growth of demand in the industrial entity. 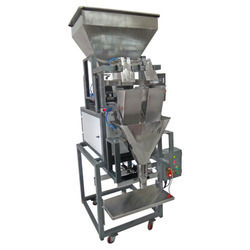 Day by day the need of supply of various products enhances the requirement of the filling equipments. VISTA TECHNO PACK MACHINE takes care of the demand and developed the equipment which is suitable for filling of various different items. The organization is settled in Maharashtra and Mumbai. Company as per the survey section concludes that it has been used all over India as it is easy to use and completes the task on time. Vista techno pack machine is totally involved in fulfilling the industry requirement and satisfying the customer. 3) Can be used to fill variety of products and so it is versatile. 4) Machine is well tested and its quality is approved by different sectors. 7) It is available in low cost all over India.